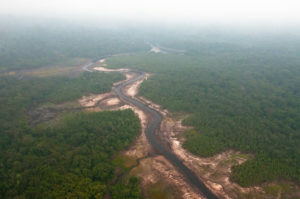 Fifty years ago, Indonesia was rich with pristine forest. 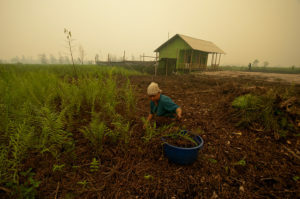 And then – three booms happened: Between 1980 and 2000 – a timber logging boom, illegal logging followed in the 10 years from 2000, and the palm oil boom came after that. This landscape transformation brought benefits and costs to various actors. But fire and haze were also part of the landscape transformation. 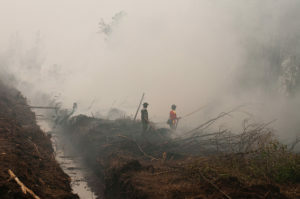 Under President Joko Widodo, the Government of Indonesia has committed to reducing – or even zeroing – fire incidences in Indonesia. And although some improvements have been made, fire and haze continue. And this year, the country is facing El Niño, which will cause drier weather and increase the occurrence of fire and haze. 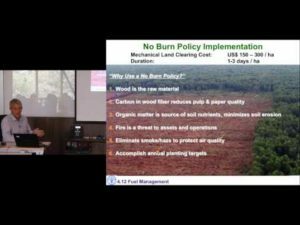 Solutions are needed, because current actions mostly deal with fighting fires and are not systematically harnessing the politics and economy of fires. Reviewing fire policy and laws (what works and does not work), mapping actors and their networks and economies, providing clear and transparent spatial maps, and engaging with key policy makers and practitioners are key for reducing fire and haze. Unclear spatial planning is constraining the fire reduction effort. At a stakeholder consultative meeting in Pekanbaru on 25 March, the need for agreement and an enforceable spatial plan was underlined. This is not enough. Planning and executing water-level management at the landscape level through – among other actions –canal blocking would ensure fairness for both small-scale and large actors. In this approach, the government, smallholders and other key stakeholders will be called to consider their multiple goals in the landscape, understand the drivers, set priorities,take action and monitor progress.